I grind my teeth when I sleep. At least that’s what my dentist tells me. At first I was skeptical, but after handing him over $1,000 in the past year to fix my cracking teeth and disintegrating fillings, I’m inclined to think he may be onto something. You see, like many people who grind their teeth when they sleep, I don’t exhibit the obvious outward symptoms. My jaw isn’t sore when I wake up, I don’t suffer from headaches, and my girlfriend never complains about awful grinding noises emanating from my face. My symptoms are a bit subtler, but no less problematic to my health in the long run. The next logical step for me is to get fitted for a night guard. But the thought of shoving a chunk of acrylic in my mouth while I’m sleeping is rather off-putting, so to convince myself that I actually need to do something about this problem—and as a way to procrastinate—I decided to conduct some research on the topic and write this post. Here’s what I learned, and why I’ve finally decided to get a mouth guard. Teeth grinding is more formally known as bruxism. 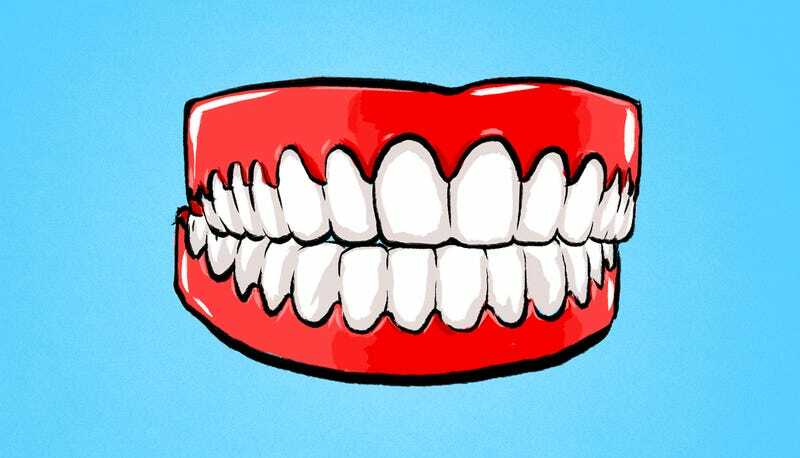 It’s a strange word that was coined back in 1907 by Marie Pietkiewicz who referred to the compulsive grinding of teeth as ‘la bruxomanie.’ The term was later adopted as “bruxism” to describe the gnashing and grinding of teeth with no functional purpose. It’s considered a “parafunctional” behavior, i.e. the use of a body part in a way not intended, that’s listed among other parafunctions like tooth tapping, cheek and lip biting, fingernail biting, and tongue thrusting. There are actually two forms of teeth grinding. There’s sleep bruxism, which happens when you sleep, and then there’s wake-time bruxism, which, as the name implies, happens when you’re awake. The two aren’t mutually exclusive, but they are two distinct disorders. We’re only going to consider the sleep variety. Sleep bruxism is classified as sleep-related movement disorder, one described as a rhythmic, repetitive, and involuntary activity of masticatory muscles, i.e. muscles of the jaw, that manifests during sleep. All forms of bruxism involve forceful contact between the biting surfaces of the upper and lower teeth. This contact involves movements of the lower jaw, and it can produce some rather unpleasant sounds (listen to an example here). Clenching, on the other hand, involves inaudible, sustained, forceful tooth contact without any significant jaw movements. According to Maria Clotilde Carra, a Doctor of Medicine in Dentistry at Rothschild Hospital in Paris, “bruxers” grind their teeth at least two to four times per hour of sleep. When grinding reaches this level of frequency, it gets diagnosed as a sleep disorder. As an important distinction, some 60% of the population exhibits a less intense chewing-like activity when they sleep, but this isn’t sleep bruxism—it’s actually a psychological sleep related movement. More often than not, sleep bruxism is “just” teeth grinding during sleep, but it can co-exist with other sleep disorders that require further attention and treatments. These include obstructive sleep apnea, gastroesophageal reflux, restless leg syndrome, REM sleep behavior disorder (RBD), sleep-related epilepsy, autism, and attention deficit hyperactive disorder (ADHD). The cause of sleep bruxism remains unknown. Indeed, psychological factors likely play an important role, but studies are inconclusive at best. What is known is that bruxers tend to be more depressed than non-bruxers, and they experience higher levels of hostility and stress sensitivity. Studies have shown that bruxing children tend to be more anxious than non-bruxers. Some researchers are working to understand if certain neurotransmitters are to blame—such as dopamine, noradrenaline, and serotonin—but evidence is lacking at the moment. One thing’s for certain, however: sleep bruxism is “centrally regulated,” as Carra put it. Research has shown that it’s a sleep disturbance that originates in the central nervous system, and it’s not triggered or controlled by peripheral factors in the mouth, like an occlusion, i.e. a blockage of some sort, or tooth contacts. We also know it’s not caused by an infectious disease, which is what people used to think, nor is it a tic or reaction triggered by improperly fixed dental prostheses. Sleep bruxism is quite common, occurring in around 7-8% of the general population. It’s more frequent among children and adolescents, with up to 40% of 11 year-old children being affected. And it can start as early as the age of one when deciduous incisors first appear. Elderly folks seem to be less affected, around 3%, but that may have something to do with tooth loss or interpersonal isolation; they have no partners to report tooth grinding sounds, and they may be unaware of the problem. Sleep bruxism shows no preference in terms of gender, but awake bruxism is more common in females. Also, Carra’s work has shown that, in most cases, sleep bruxism that happens in adulthood is a continuation of grinding activity experienced during childhood. The signs and symptoms of bruxism are not pleasant, nor are they always obvious. In addition to abnormal tooth wear, bruxers experience tenderness and pain in their jaw muscles, headaches (particularly after waking up), and a condition called “masticatory muscle hypertrophy,” which manifests as an increase in the size of jaw muscles due to over-training. Bruxism is also a leading cause of TMJ syndrome, a condition in which the temporomandibular joints have been damaged, causing pain. Other signs include neck pains, earaches, hearing loss, ear ringing, inflammation and blockage of some salivary glands, periodical swelling, and pain, inflammation, and abnormal dryness of the mouth. On a similar note, the degree of wear-and-tear to teeth can’t always be related to the intensity or frequency of tooth grinding. Other factors include enamel quality, saliva, acid intake, and the presence of systemic diseases, such as eating disorders and gastro-esophageal reflux. Given the difficulty of diagnosing bruxism, some experts have proposed a diagnostic grading system of “possible,” “probable,” and “definite” bruxism. That said, excessive wear-and-tear of the teeth still stands out as the most overt sign that a person is grinding their teeth. If you suspect that you’re a grinder, talk to your dentist. In addition to checking for wear, a dentist can examine your temporomandibular joints and jaw muscles for signs of bruxism. sensitive, worn-out, decayed, fractured, loose, or missing teeth. Prolonged grinding or clenching break down the enamel, sometimes, in long-term bruxers, reducing teeth to stumps. Instead of a white enamel cover, one often sees the yellowish and softer dentin. The back teeth of some chronic bruxers often lose their cusps and natural contours, appearing instead flat, as if they had been worked over with a file or sandpaper. When anterior teeth are affected, their biting surfaces are damaged. As well, the absence of enamel makes it easier for bacteria to penetrate the softer part of the teeth and produce cavities. With time, the condition may lead to bridges, crowns, root canals, implants, partial dentures, and even complete dentures. But none of these symptoms provides a surefire diagnostic procedure. For one thing, such symptoms may be traceable to other reasons and not to bruxism. They also take time to develop, and hence a patient may be bruxing for years before she herself, or her clinician, notices the problem. Likewise, such symptoms are often present in a patient who used to brux but who does not brux now. Unfortunately, there is no “cure” to get people to stop grinding. If left untreated, however, sleep bruxism can result in a number of problems. Jaw pain can become chronic and more difficult to manage over time. If the grinding is causing abnormal tooth wear, it can destroy tooth crowns, requiring significant restoration work and prostheses to restore normal function. It can also result in the loosening and loss of teeth Bruxism can also result in changes to a person’s facial profile. The most common treatment for sleep bruxism is the use of an occlusal splint, more commonly known as a mouth (or night) guard. These orthotics are worn during sleep to protect the teeth surface. They can cost anywhere from $100 to $500, and are typically made from acrylic. “In fact, these devices—regardless of their design—won’t make the individual stop grinding,” explains Carra. The point, she says, is that these devices get destroyed instead of our teeth. Carra says that mandibular advancement splints, made for snorers and people with obstructive sleep apnea, are also effective to manage sleep bruxism. All these devices are custom-made for the individual patient by their dentist. I clearly need to get over my aversion to sleeping with a mouth guard. Indeed, a quick and informal survey of friends in my social network reveals that my fears are overstated. Virtually everyone who responded to my concerns said they quickly adapted to their night guards, and that the devices were extremely beneficial. One friend said it was life-changing and that she would never dare leave home without her guard when traveling. Nissani points to a number of “comparatively unpopular approaches,” such as mechanical biofeedback devices that trigger sound or vibrational alarms. These types of solutions seem a bit...extreme. Thankfully other (more reasonable) options exist, including stress reduction and cutting down on smoking and drinking. It’s also a good idea to practice good sleep hygiene, such as avoiding excessively long naps, establishing an environment conducive to sleep (i.e. no lights, no TV, a good pillow, etc. ), maintaining a regular wake and sleep pattern every day, refraining from intense physical activity close to bedtime, and avoiding caffeine or other stimulants before sleep. In addition, bruxers can try cognitive behavioral therapy, relaxation techniques, and biofeedback—all of which have been found to reduce, but not necessarily eliminate, sleep bruxism in some individuals. Experts like Nissani, however, say people should stay away from psychotherapy, hypnosis, surgery, and drugs. Indeed, there isn’t much evidence to support the idea that medications can help. Some scientists have experimented with drugs that confer a paralytic effect on the muscles, and have used such interventions as botulinum toxin in especially severe cases, including brain injury, amphetamine abuse, Huntington’s disease, and autism. Antidepressants have had mixed results; SSRIs have actually been shown to make the problem worse. For the most part, however, these drugs tend to offer too many side effects, which don’t justify their use in the vast majority of otherwise healthy bruxers. More work needs to be done in this area.